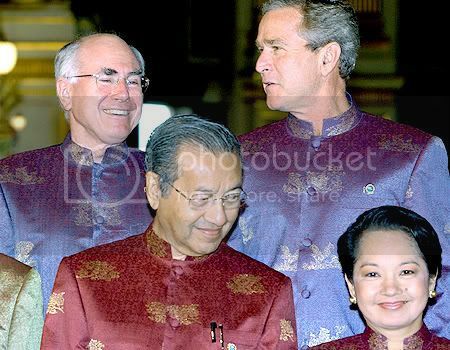 my ramblings | expressions: APEC Traditional Costume for 2007? 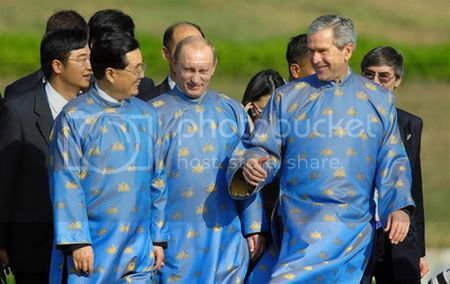 APEC Traditional Costume for 2007? 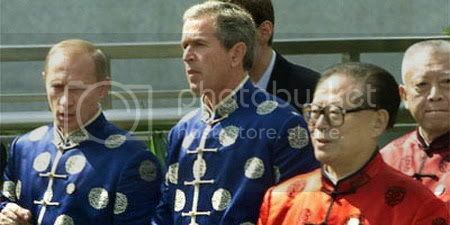 Giant fence, sniffer dogs, secret service, helicopter patrol... daunting security issues aside, one of the biggest headaches facing Australia’s APEC summit organizers is how to clothe 21 world leaders in traditional costume in a country with no national dress. 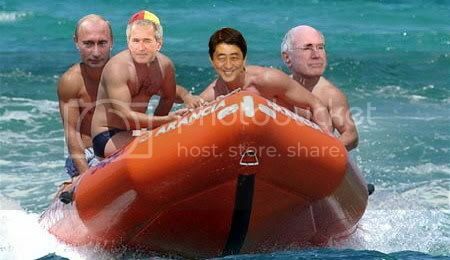 If you don't know, at the end of each Asia Pacific Economic Co-operation APEC summit, leaders pose for a photograph in a costume that represents the host nation. 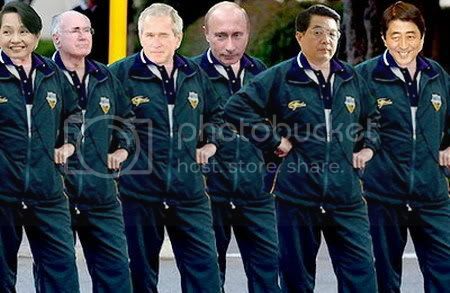 hahaha... whoever came up with the idea of posing Pacific-area leaders in the national dress of the host nation was onto a winner. While other regional meetings have their charms... Apec's dressing up session at least makes for good photographs (really!). ahh.. this was one of the best costume, Hanoi 2006. Then, there was Thailand, 2003. 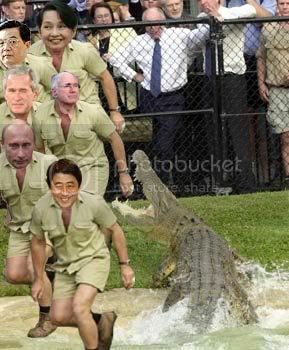 ...or full khaki and taking on a croc in true blue Steve Irwin style?